Do you enjoy building science fiction space stations? Or the outpost of a space traveling bunch of aliens? 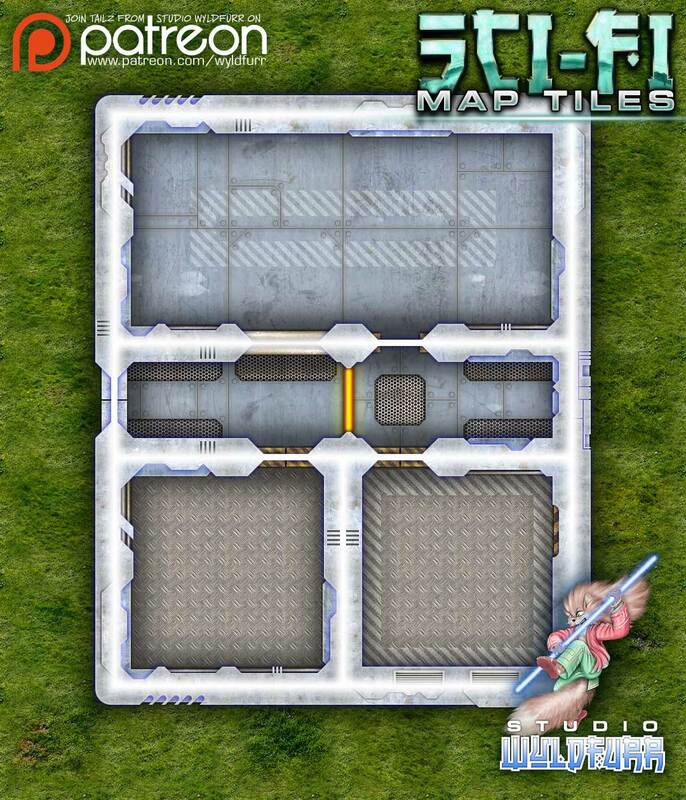 The Sci-fi Map Tiles pack is aimed at giving Game Masters a tool kit with which to build hi-tech fantasy environments. 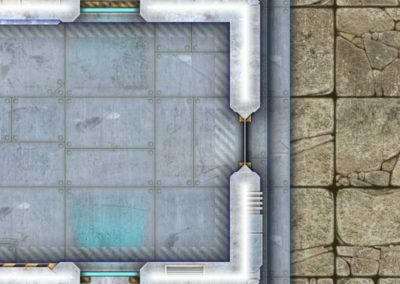 This map tiles set has been designed to expand your map building tool kit with a range of Map Tiles depicting a fantasy science fiction atmosphere. 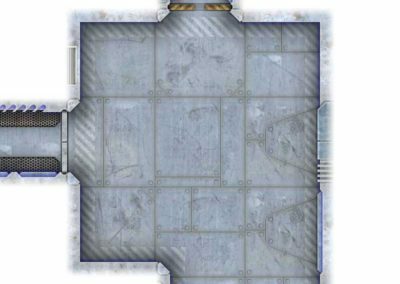 Use the map tiles in the Sci-fi Map Tiles package to build a super corporations high tech lab, a space station or the insides of a space ship. This map tile pack provides you with a wealth of map tiles that all look like they belong together with the same artistic “look and feel” to them. 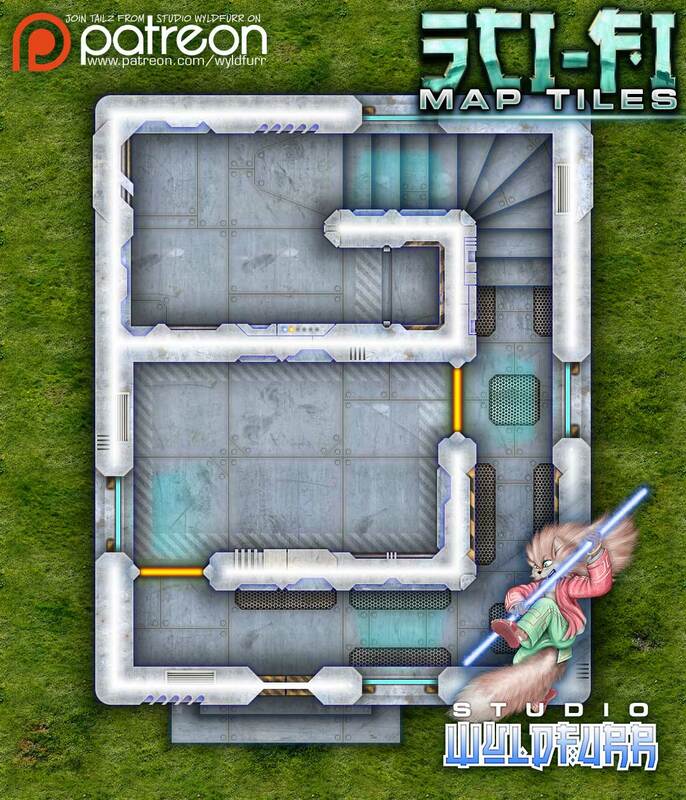 Plus the tile design means you can assemble the tiles to build a dungeon map of almost any complexity. 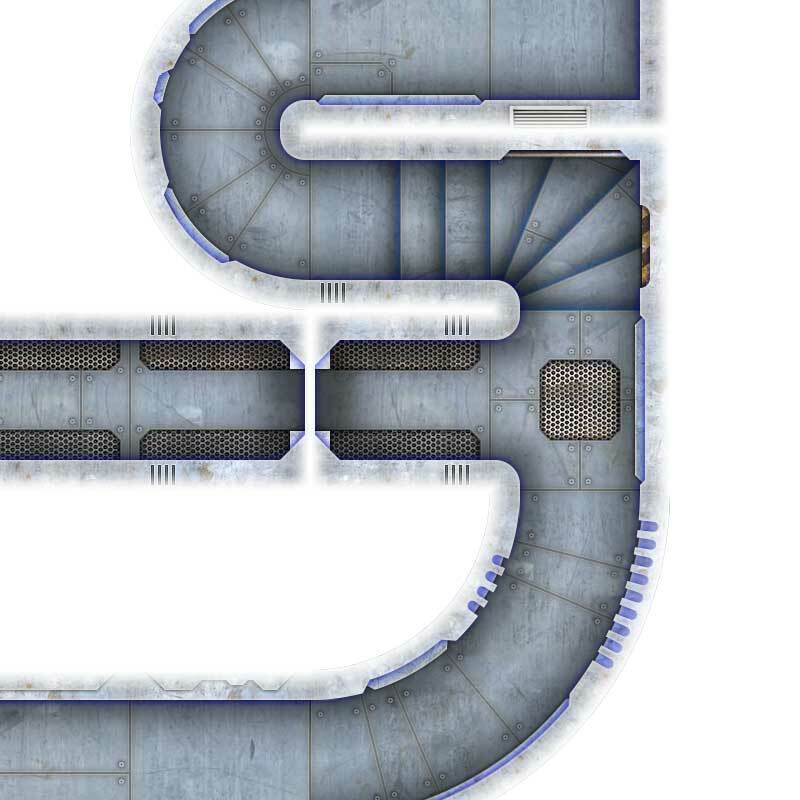 While on it’s own this map pack provides all you need to build a sci-fi complex for your players to explore, your creations can be further populated with objects from our Furniture Packs, or NPC’s and Monsters from packs such as our Modern Day Adventurers token pack. A map tile, in the context of this set, is square of artwork depicting a specific 5ft by 5ft area of terrain. Such as the floor of a laboratory, an area of grass, or where the floor meets a wall. In order for a Game Master to build an adventure map for players to explore, map tiles are placed onto the digital canvas one by one until the desired terrain is constructed. Be that terrain a wilderness area, a secret lab, or space station. 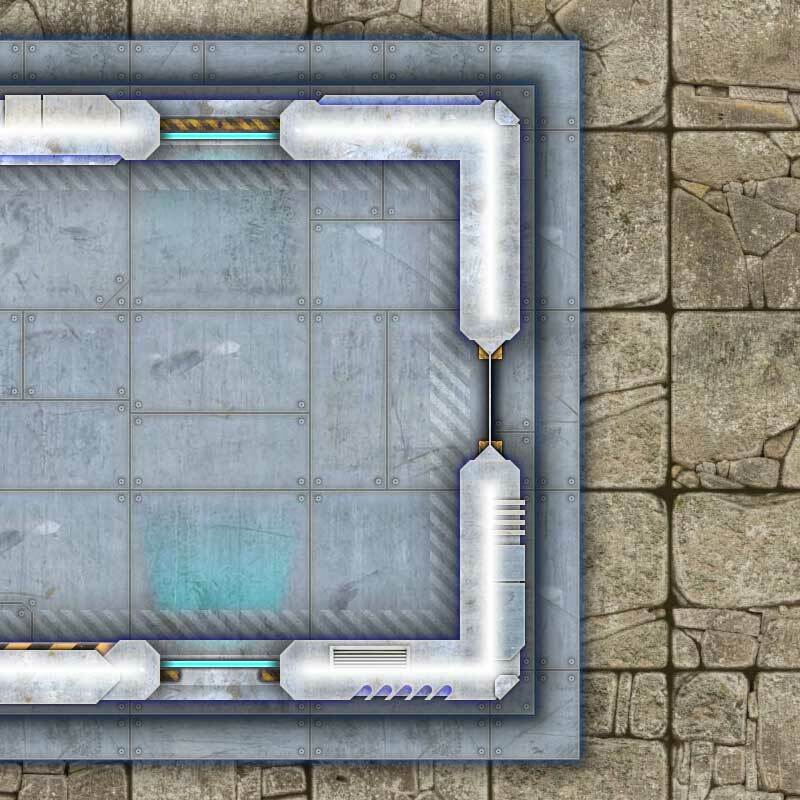 With our Dungeon Map Tiles III package we started to separate the walls from the floor tiles. 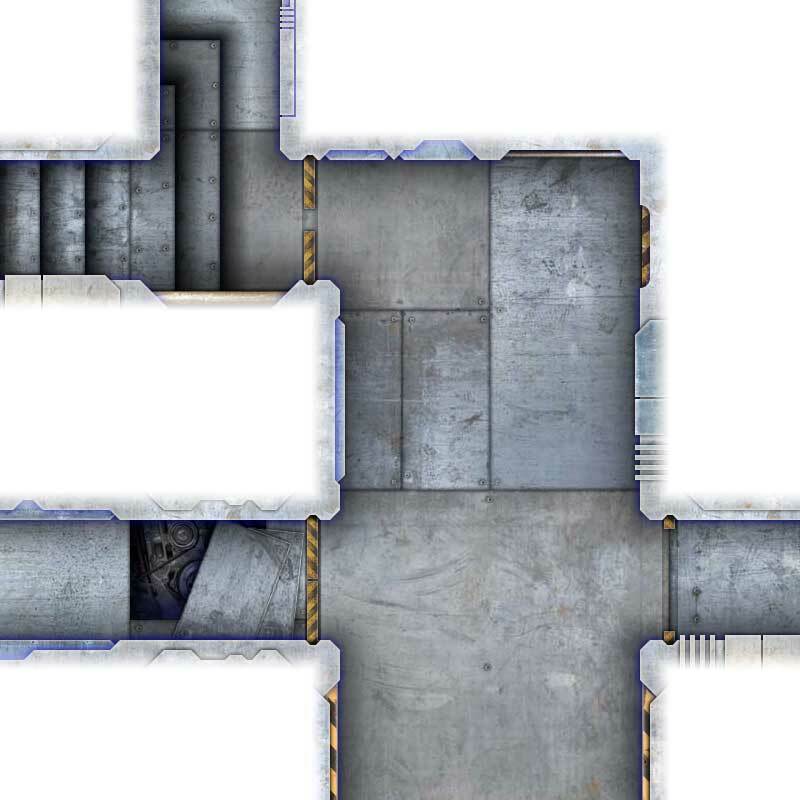 We have found this gives us more flexibility with map building as we can combine different walls with different types of floor tiles to create different effects. 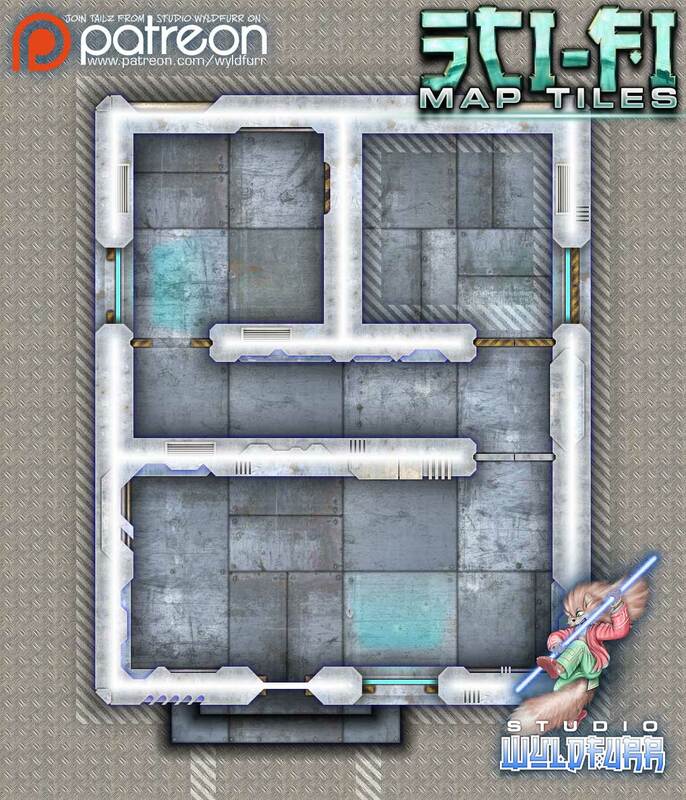 This pack continues this style of map tile, with two different styles of floor tile and a main style of science fiction wall tiles. 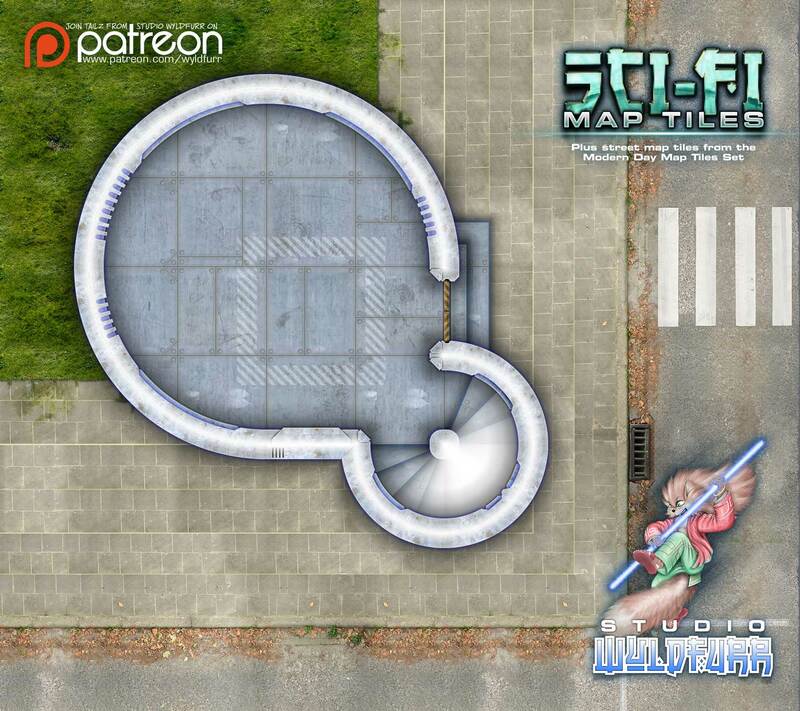 The map tiles have been made as a kind of ready made art pack that you can simply just drag’n’drop onto a digital art canvas to build a map. To do this all you need is a graphics editing program such as Photoshop, Gimp, or another Map Making program that permit you to use pre-created tiles to build maps. We recommend using Gimp, it is free and is a very powerful program for this task. If you are not sure about what to do, we have a tutorial about building your own maps. 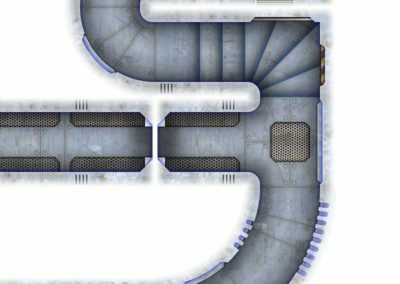 We also have a number of clips on our YouTube Channel of Tailz using the Map Tiles to build adventure maps in Photoshop. 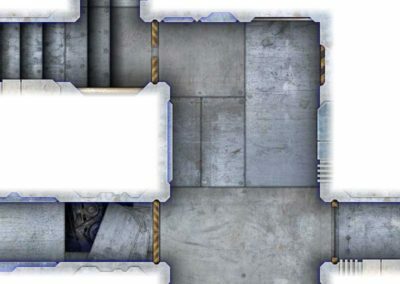 This edition of the Sci-fi Props & Gadget Tokens contains the above mentioned zip file of raw image files and the images converted into tokens and provided as a Fantasy Grounds Mod file. The zip file pack is designed for use by advanced users who have access to graphics editing programs and apps such as Photoshop, or Gimp. Or users of virtual tabletop Apps such as Fantasy Grounds, Roll20, or d20Pro where you can use PNG image files as tokens on the virtual tabletop. The package contains a wealth of raw image files in the PNG file format. 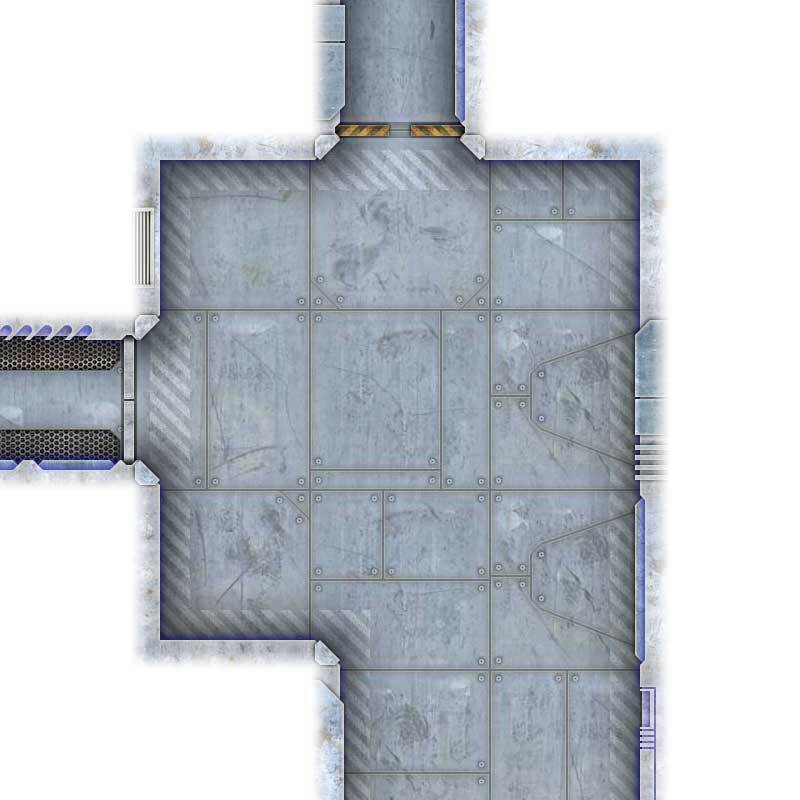 These image files form the raw token images which you can use to assemble the inner workings of map rooms. Don't have access to Photoshop or other such expensive graphics editing programs? Want to use a cartography program that does all of the hard work for you? Then you need to get your hands on MapForge. The MapForge Edition of the Sci-fi Props & Gadget Tokens set has been specially configured to take advantage of all the automatic features MapForge has to offer. Thus streamlining and simplifying map construction within an App that is purpose built for map building.